Hi everyone, welcome to english-learning.net. I hope you’re well today. 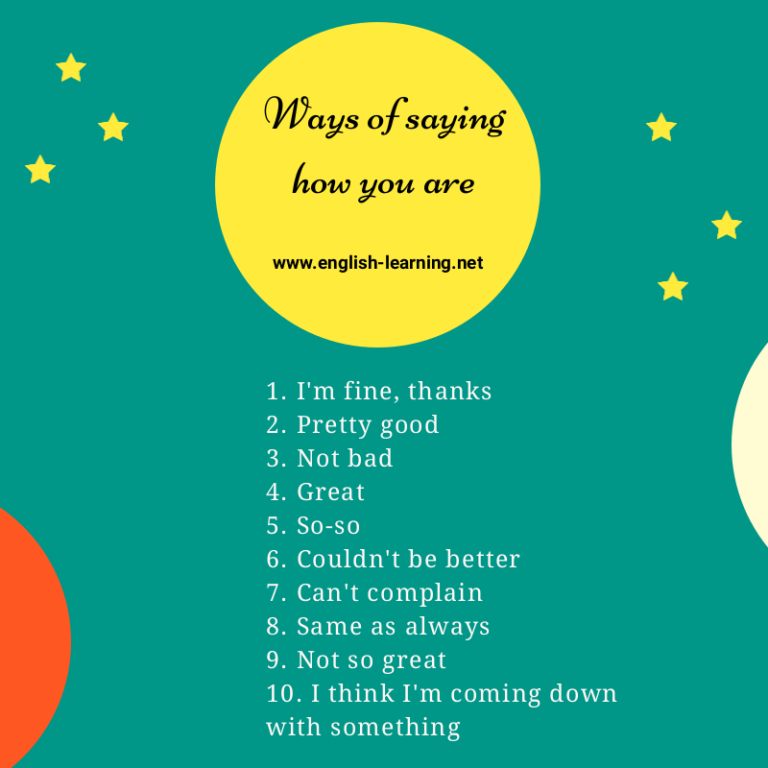 In this lesson, we’re going to learn some useful ways to tell people how you are, or how to answer the question “How are you”. Richard, how is it going? Great! I’m going picnic this afternoon. Hi Jane. I didn’t see you at the party last night. How are you? So-so, I was just busy last night. Couldn’t be better. I got a new job last week. Good morning, Lucy. How are how? Not so great. I lost my wallet yesterday. I think I’m coming down with something. I was outside in the sun the whole afternoon.